Therapy software doesn’t have to be. 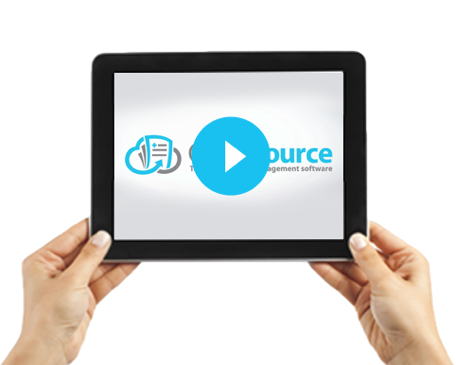 Discover ClinicSource, the incredibly easy-to-use therapy EMR & practice management system. Plans starting from only $59/mo. Learn how ClinicSource can empower your therapy practice! What are you looking for in therapy software? The ultimate in convenience and mobility! With ClinicSource, you can access your therapy scheduling, documentation, practice management and billing data from any online device. Since our EMR software is web-based, there’s no need to purchase or maintain expensive servers or security equipment; all data is encrypted, backed up and protected by the same technologies used by major financial institutions. So even if your PC crashes, all of your practice data is still safe and secure. Designed with you in mind! ClinicSource was created specifically for use in therapy practices, so the software won’t bog you down with features and functions you’ll never use. Instead, you’ll find customized templates already organized by therapy disciplines: Speech Therapy (ST), Occupational Therapy (OT), Physical Therapy (PT), Mental Health (MH) and Applied Behavior Analysis (ABA). Our exclusive Goal Library comes pre-populated with hundreds of relevant objectives. ClinicSource therapy practice management software is incredibly powerful, but amazingly easy to use. It was created to help practices of any size to spend more time with patients and less time with paperwork. It completely integrates all EMR and practice management functions, so information flows automatically to wherever it’s needed. Intuitive features make it fast and easy to implement, and expert support staff are always ready to help. Start your FREE no-risk 30-day EMR Software Trial today. ClinicSource therapist EMR software comes with hundreds of templates to make your clinical reporting faster and easier than ever. Cloud-based EMR software with built-in therapy billing, scheduling and documentation.